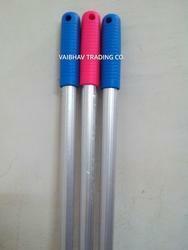 We are leading manufacture of mops handles, IPC ROD, ALUMINIUM ROD, WOOD ROD, STEEL ROD. We have successfully got support of the large customers as we are holding specialization in getting accomplished their specific demands efficiently. Our company has focused all their efforts towards providing them a superior quality range of Mop Handle Aluminium. Our products are developed utilizing material, which is approved with quality and is sourced from the reputed vendors of industry. The quality of all products is stringently examined on defied quality testing parameters, before their shipment is being made into the market. Material Aluminium, Iron Powder Coating, Wood. 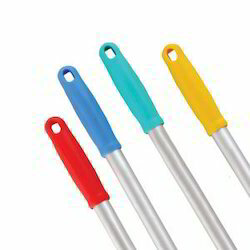 We have firmly positioned ourselves as the leading manufacturer and supplier of Mop Handle Alumonium. Our available range is highly renowned in the market for their durability and other related excellent features. The offered range is manufactured using high quality material and advanced technology. In order to meet all quality standards, our offered range is tested on various parameters so as to provide a defect-free range at our precious clients' end.